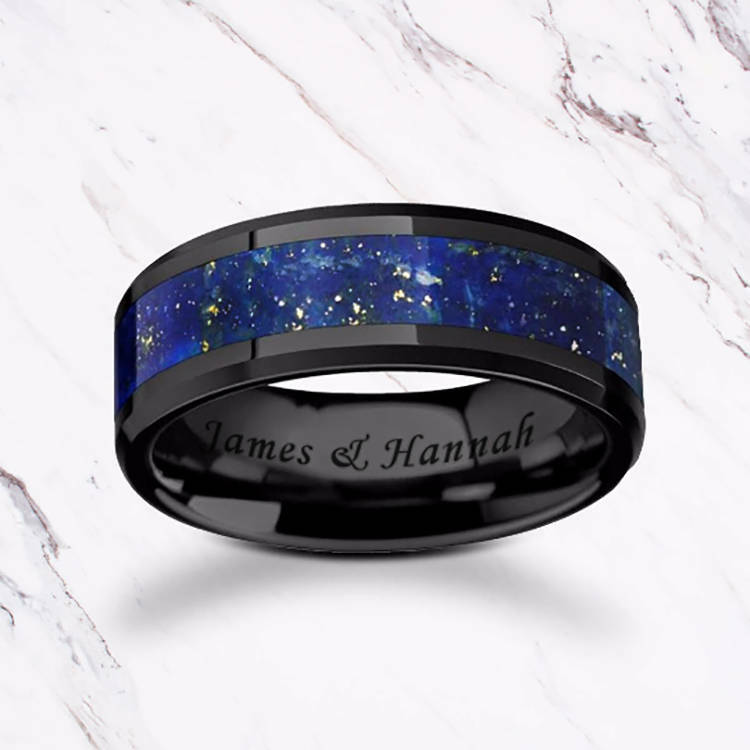 This is a bevel edged & polished black ceramic blue lapis lazuli stone inlay ring with a custom engraving of your choice inside of the ring. 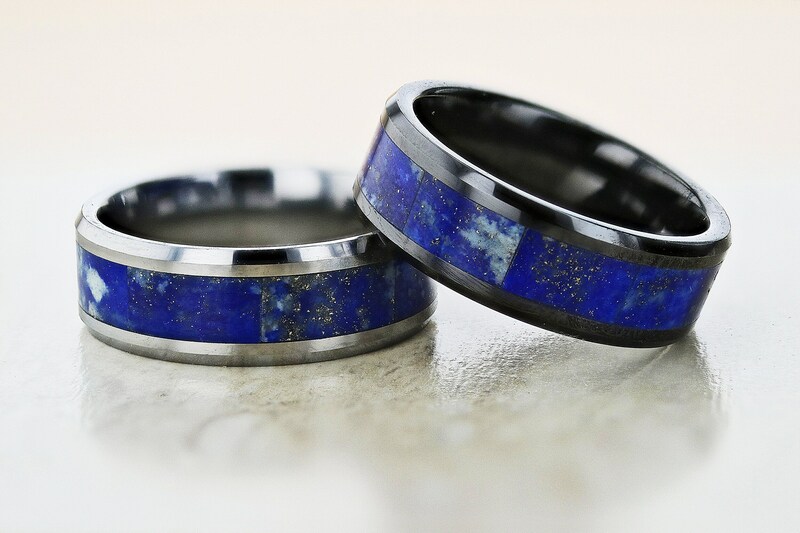 This ring has a beautiful opal that consists of mainly blue, some white and gold throughout the inlay. The blue stone is beautiful and colorful and slightly shimmers in the light. Black ceramic is extremely scratch resistant, but the inlay is not. All of our rings are not indestructible and can scratch if hit against blunt objects or dropped like all jewelry. Gorgeous!! The color is even more beautiful in person, the inner inscription is perfect, and production and delivery were so fast. Thank you so much - we’ll be back! Thank you so much for making this ring and the engraving is beautiful. I hope to order again from you one day especially when that special day is to come in my future. My boyfriend loves his new ring!! !